Indane Gas Online Booking Status indane.co.in Refill Booking customer care number - Toll free number, complaint number? One traditional way for booking Indane gas cylinder has been to call the Indane phone number, select language, enter distributor phone number with STD code, enter the consumer number and choose the appropriate option for refill, complaint and enquiry for last booking. Another way is booking a gas cylinder via SMS where the user will have to register their mobile number first before booking. Then for booking send a message “IOC” to the distributor. The other option is booking via internet. The website indane.co.in is extremely helpful to book indane gas online without any hassle. This is just as easy as the other options and also comes with many other features. This article on Indane Gas Online booking gives you the details of bookings, raise complaints, change distributor and many more. Below is step by step process showing how to register and book a cylinder online via indane.co.in. Indane Gas Online Booking Process - Indane Gas Refill Booking - How to book Indane gas cylinder online in indane.co.in? 1. Go to the website: https://indane.co.in/consumerlogin.php. 2. Click “New User” on the top right corner. Then enter your details in all the fields include two identity proof numbers (PAN card, Ration card, Passport no. or Driving License no.) and click “Submit”. 3. You will receive the following message. Authenticate yourself through the mail sent to your email address. 4. Once you click the link for authentication. You will receive the below message. 5. Now, login with the Username & Password sent to your mail. Your dashboard is called Customer Console and will look as below, with details such as Order/ Track your refill, Cylinder booking history, Change distributor, Give up subsidy, Prefer time delivery, DBC request, Imp contact info, Submit bank details, DBTL forms, Check DBTL status, Join PAHAL scheme and Income > 10 lacs declaration. 1. 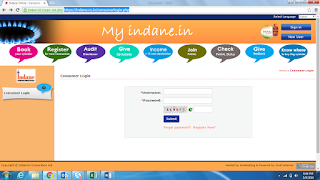 Go to the website: https://indane.co.in/consumerlogin.php and login with your user name and password. 2. To book a refill cylinder online, login to your account. click “Order/ Track your refill” and the following page appears. Your LPG services are listed. Click “Place order online”. 3. Click “Online – Click to Book”. It will ask you to enter your login details again. 4. Once you log back in again, the following page will appear. 5. Choose your payment option, Cash on Delivery or Online payment and click “Book Now”. A booking confirmation with the booking number will appear. You can now logout. Indane Gas Refill Booking SMS/IVRS Steps - How to book Indane gas through SMS/IVRS through online? IndianOil has launched an enhanced Automated Unified System (AUS) of refill booking for its Indane customers. The facility was expanded to PAN India on 1st May 2014. With this new system, you can book your refills round the clock through SMS and IVRS supported system. It is faster, simpler and more efficient than other modes of Indane gas refill booking. What is the Indane Gas Booking IVRS number? Indane Gas booking IVRS number is different for different states and districts. You can easily know your respective IVRS number by following the below steps. 2. Select the state, district and distributor. Selecting distributor is mostly optional. 3. Click on 'Search' button. You will be able to know your respective Indane Gas booking IVRS number. How to know LPGID and other status through SMS? SMS number is 8130792899. The response will be sent back through SMS. To get the LPGID please SMS LPGID to the number 8130792899. To get the status of seeding please SMS DBTLSTATUS to 8130792899. To get the current status of quota of subsidized cylinders consumed please SMS LPGQUOTA to 8130792899. To get the details of the permanent advance and last refill subsidy received please SMS SUBSIDY to 8130792899. 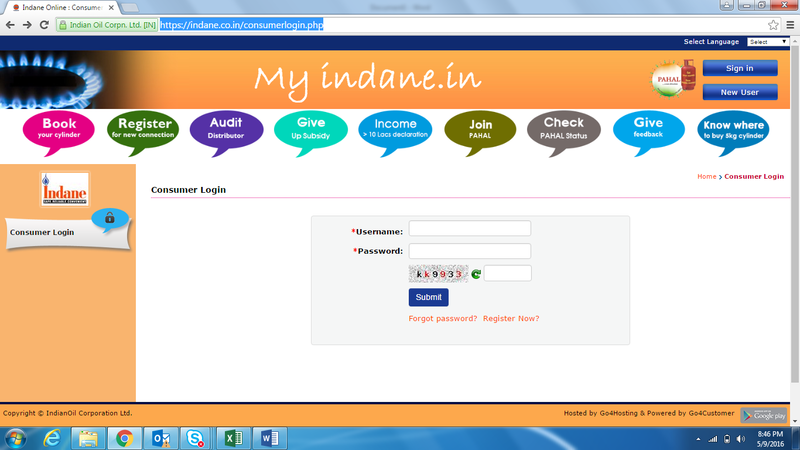 Let us see how to check the Indane Gas Booking status now via indane.co.in portal. 2. To check Indane Gas Booking Status online, login to your account. click “Order/ Track your refill” to check the indane gas booking refill status. Indian Oil Corporation Ltd. (M.D.) Indane Area Office, Ghoddod Rd., Nr.BSNL office, Surat. Indane Area Office, No.3-6-436 to 438, 2nd Floor, Naspur House, Himayat Nagar, Hyderabad - 500 029. Please note that the information is varying in nature from time time to time. Though we constantly update the information, we request you to kindly check official website of Indane for updated information. Hope you find the article Indane Gas Online Booking Status indane.co.in Refill Booking customer care useful for you. Is there any other options to make the booking system through online? The process of your description is not clear enough to follow. Would you please tell us know about the online booking refill system? The college essay writing help is needed to know what they should know to discover the secret of the benefits of using this gas booking refill system.